The 2013 USTA League Season is here. Read about the NEW USTA League structure and excitement for 2013. It’s bigger. It’s better. It offers more opportunities to play. 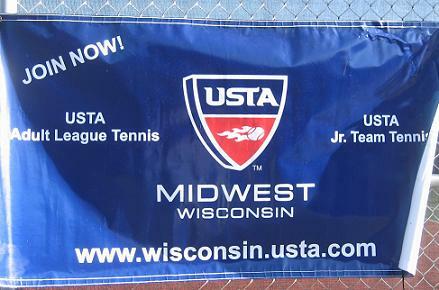 The Wisconsin Tennis Association is excited to announce the 2013 USTA League Season with a new structure, new winter leagues, new summer leagues and more opportunities to play. Presenting the 2013 USTA League Season. The New USTA League Structure: The Wisconsin Tennis Association and USTA/Midwest Section proudly announces two adult divisions – Adult, and Mixed. The Adult Division is broken down into Adult 18 & Over, Adult 40 & Over, Adult 55 & Over, Adult 65 & Over, Combo and Tri-Level. The Mixed Division will be Mixed 18 & Over and Mixed 40 & Over.The New age structure offers the majority of players additional play opportunities and more competitive matches. All Adult 40 & Over players have the opportunity to play at both the Adult 18 & Over and the Adult 40 & Over leagues. Play twice as much tennis, have twice as much fun. The Wisconsin Tennis Association is excited to offer new Adult 40 & Over winter leagues in Madison and Milwaukee! New in 2013-Adult 65 & Over leagues. Players will be eligible to advance to State, Section and National Invitational Championships. The Wisconsin Tennis Association is ready for the 2013 USTA League Season. Are you ready? Adult summer league registration is about to begin. Contact us today for information and registration details.